If you’re picking up meditation or in the process of doing so, one popular question that pops up on your mind would be “how long should you meditate?”, Because the notion of spending months sitting on your meditation cushion with nothing to show could be pretty discouraging. While it’s true that meditation is often picked up as a religious practice in certain cultures, but meditation has also been associated with numerous health benefits, and provenly so. It is only natural that you’ll be having expectations for your own practice. In my previous post, Ellie, a mother of two asked also shared the same curiosity. My answer to her was it generally takes one to two months before you can actually ‘feel’ improvements emotionally or mentally. I’m definitely speaking from my point of view, and that lead me to seek out more information on how long meditation sessions should really be for new practitioners. Let’s take a look at some hard proven fact before we check out the experience of other meditators. If you read my post on the 31 benefits of meditation, you would notice that I dedicated a section on how it changes our brain structure. 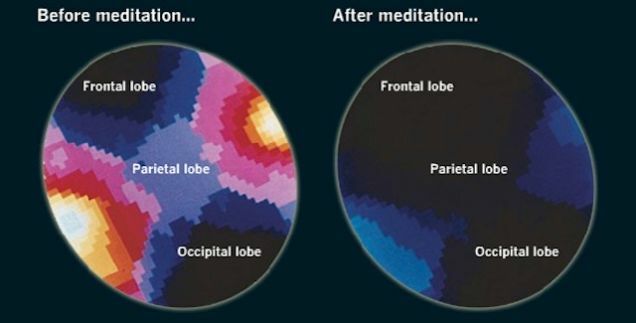 I think the best way to backup verbal testimonial is to have some scientific images of meditator’s brain before and after meditation. This is a result of a study performed by Harvard University where 16 people are given an 8-weeks mindfulness-based stress reduction practice. The people in this group are required to do an average 27 minutes of guided mindfulness meditation and other mindfulness practice every day. Here’s what happen after 8 weeks of mindfulness practice. Gray matter volume increases in the brain region related to learning and memory, emotion regulation, sense of self, and perspective taking. For more details of this study, read this article by Dr. Kevin Chen). Is it meditation effective when it really matters? It’s one thing to meditate for weeks for the sake of feeling more peaceful or creating more joy. But let’s take a look if the positive effect of meditation is still as effective when it comes to treating common mental disorders like anxiety. Meditation has been known to helped relieve anxiety attack, when practiced under the guidance of therapist or meditation teachers. Anxiety disorder is becoming more common among global populations and it will be interesting to find out how effective is meditation as a self-help treatment. Wake Forest Baptist Medical Center conducted a specific study to study the areas of the brain that were activated and deactivated during meditation-related anxiety relief. The study found that the anterior cingulate cortex, a primary region believed to relieve anxiety, was activated when subjects participated in four 20 minutes sessions of mindfulness meditation. While the result may not always be identical, this particular anxiety sufferer managed to stop the anxiety attacks after just two weeks of practicing meditation. When asked the question of “how long should I meditate” by practitioners, Bodhipaksa of Wildmind Buddhist Meditation stated that “any amount of meditation is better than none”. Here’s the full article. Giovanni Dientsmann of LiveAndDare started with 20 minutes of meditation every day. 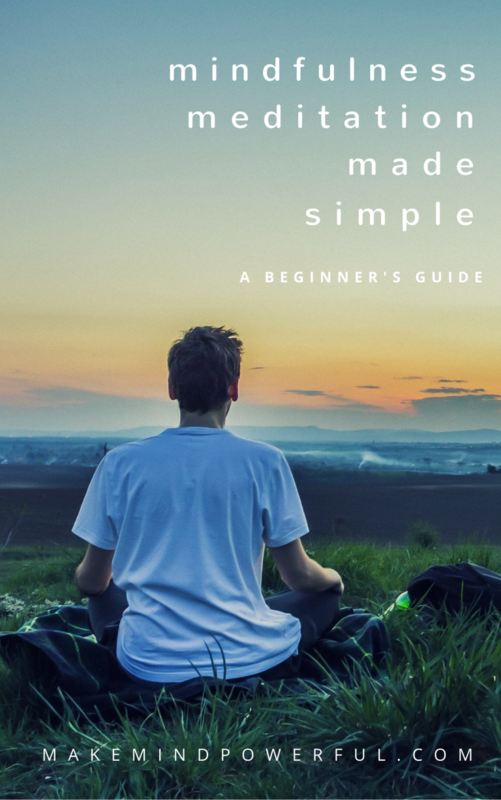 In, Mindfulness In Plain English, by Bhante Gunaratana, beginners are advised to start with 20-30 minutes session and gradually extend it to an hour after a year. If you find 20 minutes of meditation difficult when you’re starting out, it’s ok to start with 5-10 minutes, according to Morgan Dix, who’s been meditating for more than 20 years. NO MEDITATION IS TOO SHORT, YET..
You should sit in meditation for 20 minute every day, unless you’re too busy. Then you should sit for 1 hour. – Zen. With the hectic lifestyle that most of us are used to, it could be tough to spare even 5 minutes to meditate. (Or it could be an excuse that we are giving ourselves. While it is entirely possible that 5 minutes of meditation each day could result in positive well-being, some of us could need more than that before actually going into the ‘meditation state’. A Headspace apps user commented that increasing meditation session from 10 to 20 minutes resulting in a positive experience. Here’s what happened when for the first 10 minutes when you start your first few meditation session. You watch your your breath. You bring your mind back to your breath. Repeat step 2 and step 4. You stop meditating after 10 minutes. After a couple of weeks, you wonder why you’re not feeling any difference. This may sound unpopular but the first 10 minutes is what it takes to “warm-up” a beginner’s mind for meditation. Your mind needs time to slow down the thoughts and calm down the jumble of emotions you’re experiencing. When you are meditating for at least 15 minutes per session, that’s when you will start to see progress in your meditation journey. You just read that it takes around 1 to 2 months for you to enjoy the benefits of meditation. Or 2 weeks if you’re doing everything great. And you know you need to do at least 15 minutes a day for meditation to get anything out of it. That said, it’s important not to force yourself into meditating. Don’t turn your meditation into a series of thoughts like “Is it 10 minutes already? or 5?” and keep having the urge to look at the clock. That’s not meditating. It’s purely thinking. And it’s one of the common obstacles that new meditators find themselves in. If you’re just starting meditation, the Aware meditation app will be helpful in keeping you focused on your practice. Did you hesitate to pick up meditation practice because you wonder if it would ever work out for you? Or have you been meditating 10 minutes daily without seeing results? Share your thoughts on your meditation experience here. How To Choose The Best Meditation Technique For Yourself. I could certainly use meditation. I have problems with stress and anxiety and also problems to concentrate. I often get distracted when I do something and then I unmotivated and try to do something else. In other words it is hard to focus on something. Could meditation help me with this?? I also wonder, when you are really stressed, how can you calm down enough to start the meditation? I mean it must be important to concentrate in order to meditate. I have only tried meditation a few times and those times I had the guidance of an instructor. Meditation does help with focus. But you need to give it time. You can check out some helpful guided meditation audio in my post here. This will help you to focus. As for meditating after a stressful days, I know it can be tough. You can try some helpful tips here. I’ve dabbled with various techniques and methods over the years, but I’ve never really lasted more than a few months. I find Headspace to be very soothing, and it always calms me down, but I just can’t seem to stick with it for great lengths of time. The one thing that I have had great success with, and which helps with my writing and creativity is listening to Binaural Beats. I find a good track, regardless of the frequency, will completely zone me out. My mind goes totally blank, and I experience a beautiful sensation of complete nothingness. When I come around I feel amazing, and my creative juices are free flowing again. I’m not sure if that is classic meditation like you’re describing, but it certainly works for me. Is it just a placebo? Who knows? But to be honest, I don’t really care as the benefits I receive are worth it. Do you have much experience with Binaural Beats? I’ve experienced binaural beats before. It works wonder like you said. Good for relaxation. If relaxation is all that you crave, then by all mean go for that. But if you are looking to build mindfulness, concentration or other benefits here, then I suggest you do meditation (Headspace) after listening to binaural beats. It will help. Oh wow, it looks like I need to start meditating. I think I’ll bookmark your page. I have to say that I’m not a big fan of brown color schemes but I love yours and how your picture design compliments it so well. Thanks for loving my site. Do let me know if you need further info on meditation. This is so helpful,. I have been trying to do 15 or 20 minutes of meditation every night before I go to sleep. I’ve been so much calmer and more positive, to the point that I’ve actually seen some major changes start to occur in my life! I’m happy to hear good things are happening to you in your life. Do keep it up. I like this; very informative. I like the different sections. I have been meditating for a while but it is a good reminder of certain things. I think this is a wonderful post, and it helps to remind people they need to literally “stop and smell the roses” from time to time. I love the quote too! Yes, people can and should meditate, and they can begin just about anywhere even if only for a few minutes at a time. From there, they can build up to 10 or even 20 minutes a day. Thank you for sharing your thoughts here. Meditation requires commitment before anything starts to happen. May people don’t realise that. That said, we shouldn’t force ourselves to meditate. Instead, set an intention to do so and follow through. Don’t fight the random thoughts that interrupts you. It won’t work and meditation it’s not about that. Instead when your mind wanders, gently bring it back to your breathing or meditation objects. Mentally note that you are “thinking”. Keep doing this and you feel your mind gets tamer. Forcing it only leads to frustration. Thank you for sharing. 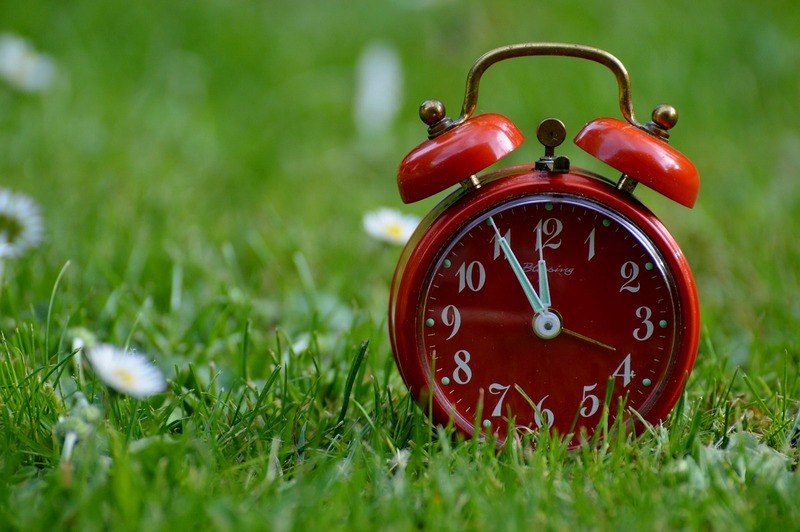 With the busy schedule most people have, they find it hard to make time for meditation. Each day brings so much stress and frustration sometimes due to the day’s activity I can see how meditation can help one overcome the stress and bring a more calm way of life. Great post! Thanks for sharing your thoughts. The harder we find time to meditate, the more we need to make time for meditation. I’ve just started a meditation routine and have been at 20 minutes now for a couple of weeks. I saw improvement right from the start even with 5-10 minutes. I’m no expert, but I love the benefits already! It’s great that you are gaining much from the meditation. What specifically improves in your life? If you are new to meditation, I’ll suggest trying guided meditation before the unguided practice. It will help to ease your mind so meditation becomes easier. I have meditated for years and I agree that the first 10 minutes is like a warm up, and I have noticed that the more I meditate the more I notice that this is the case. Do you ever use binaural beats to enhance your meditation experience? I actually found using sound technology changed everything for me and made meditation much easier and I noticed more measurable results. What are your thoughts on this? I’ve experienced binaural beats prior to meditation. It works wonder especially you are stressed. I’ll say it complements meditation well. But should never replace the actual practice itself. Check my post here Best Ways To Meditate At Home When You Are Tired and Stressed. Thank you for the advice about meditation for Panic Attacks. Do let me know how does it go for you after 2 weeks. Really enjoyed reading this post because meditation is such an important practice to get into. Thanks again for another useful post which will helps lots of people!